Did you see the solar eclipse last week? My husband and I traveled to Nebraska with my father-in-law and his wife to be right near the centerline of the path of the eclipse’s totality (the part where the sun appears to be completely covered by the moon). We picked a spot near some corn fields (check it out in satellite view mode to see how much corn we were in the middle of), set up our camera and telescope, and busted out our fancy cardboard solar glasses. As the eclipse started there weren’t really a lot of obvious differences in, well, anything. With our eyes protected, we could see that a little chunk was missing from the otherwise round sun, but not enough to make it any darker or anything. Even as the sun was more and more covered, the light levels didn’t change a lot. This was actually really surprising to me. I’ve seen other partial solar eclipses, and I think in my memory it’s a bit darker, but as I discovered in the corn fields the darkness really comes in at the very end. When the sun was almost fully covered by the moon the sky color changed quickly to look like a sunset, but around the whole horizon instead of the typical west side only. The cows started mooing (maybe they thought someone forgot dinner time?) and the night bugs and frogs started chit-chating. Once the sun was fully covered by the moon it was as dark as night. When the littlest part of the sun started to peak through again, it got light again very quickly and roosters started crowing. Even the cows started talking again (I figure they think they missed another meal). The whole experience of seeing the eclipse and taking note of the environmental changes around us was truly awe inspiring. We’re already talking about seeing the next total solar eclipse that comes near us in 2024! We also got to do a little bit of sight seeing while we were in Lincoln, Nebraska. We visited the Sunken Gardens, the Lincoln Children’s Zoo, the Historic Haymarket District, and the Capitol Building. All of the food we had was quite tasty, but we especially loved Vincenzo’s (which we ate at twice at the request of my father-in-law) and Lazlo’s Brewery & Grill. On to the food. I realized the other day that many of my snacks involve nuts, especially peanut butter. Of course, there’s nothing wrong with that but I challenged myself to find a healthy snack that didn’t fit the pattern. 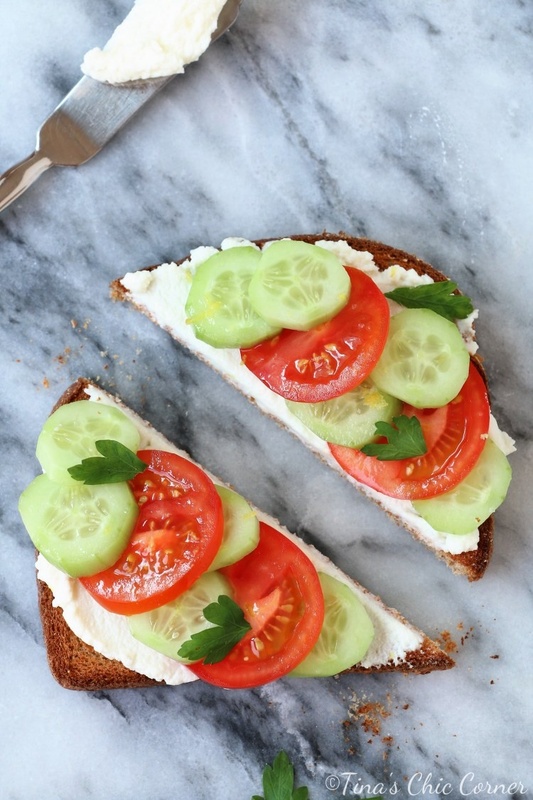 Thus this pretty looking toast. Note that there isn’t a nut to be found. 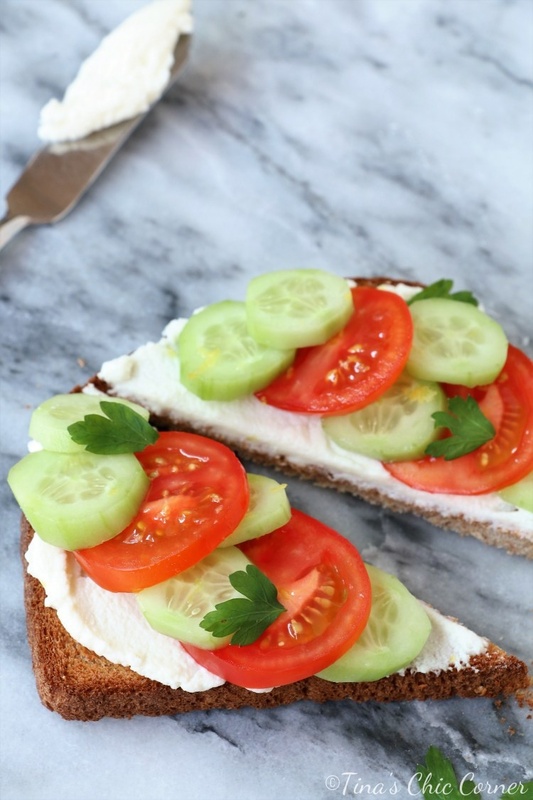 😉 I remembered that I made zucchini and ricotta toast a couple of years ago and that inspired me to do a similar creation here. I love this food combo so much. 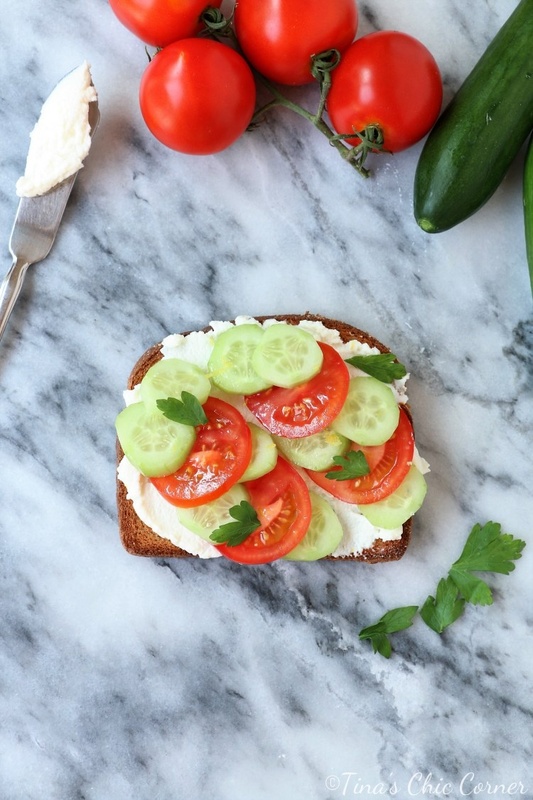 You’ve got crunch from the toast and cucumbers. While the ricotta cheese adds some creaminess (and protein) to the party. 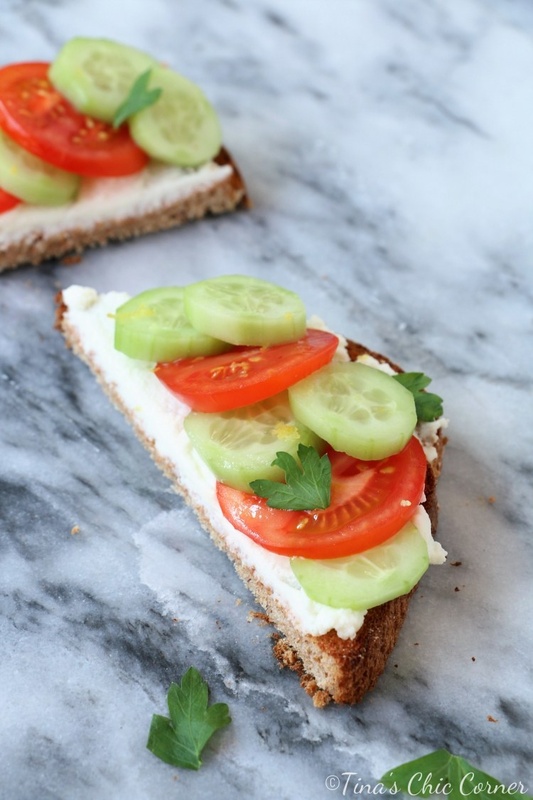 Place the toast on the plate, then spread the ricotta cheese on top, layer with sliced tomatoes and cucumbers, sprinkle the lemon zest, parsley and salt on top. Simple and easy and sounds oh so good. Thanks Tina!